1 Looking to buy a Nolan? 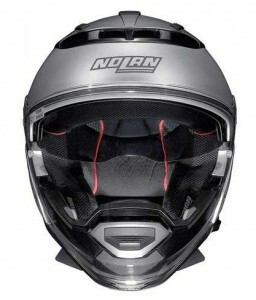 11 Best place to buy an Nolan crash helmet? 14 Looking to buy a Nolan? 17 Definitely want a Nolan? Nolan N44 – a funky and hugely versatile cross-over crash helmet. Nolan have been making crash helmets since the early 70’s but are only recently starting to forge a reputation as helmet innovators – exemplified perfectly by the N44 classic and Evo (the Evo having slightly different comfort lining to the classic). If it looks a bit quirky from the outside, that’s probably because the N44 has been designed to be most things to most bikers. Out of the box it’s a full face helmet. 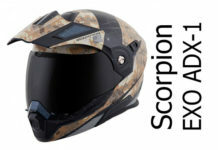 But with the ability to swap the visor for a peak and totally remove the chin guard, it can also be used in open face or adventure modes offering you six different configurations for the price of one helmet. Looking to buy a Nolan? We recommend Motoin (Ger) for quality service and decent prices (even with the current £-€ exchange rate). 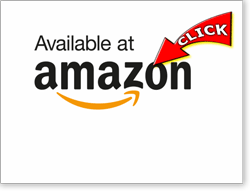 Or you can click through to the Nolan helmets pages at Amazon UK if you prefer to buy from them. Please see here for more info on these stores or click the links to go straight to their Nolan helmet pages where you'll find the latest designs and deals. Owners mostly seem to choose the N44 because its massive visor appeals – and they’re broadly not disappointed. That huge aperture gives them a real feeling of riding in an open face helmet even when the visor’s down. 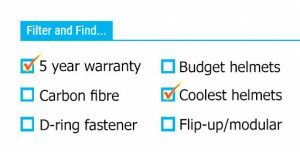 They also love the flexibility the N44 gives them and think that, bar a few niggles detailed below, the N44 really performs. It’s not the quietest helmet (which modular is?) but the N44 has so many features at such an accessible price point that you get a massive amount for your money with the N44. Like all helmets on sale in the EU, the Nolan N44 has undergone ECE 22.05 testing to ensure it offers a certain minimum level of protection. Because of the N44’s unusual removable chin-guard, it’s worth mentioning that this testing does include chin guard impact testing too. 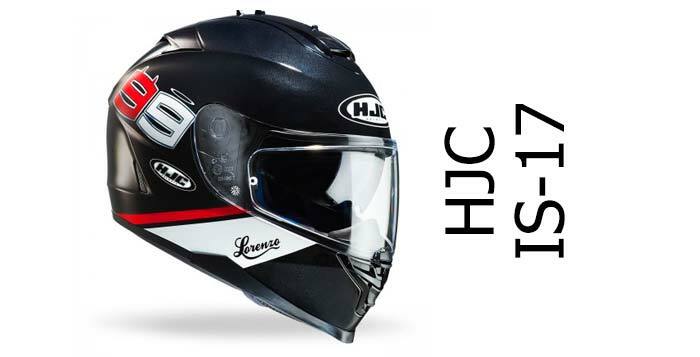 The N44 was awarded dual-homologation by ECE (both P & J approval) meaning the chin guard is protective and the helmet can be officially worn as both open faced and full faced. However, it hasn’t been SHARP tested yet so we can’t know definitively how much protection it should give in comparison to other helmets. What we can say though, is that Nolan Group helmets are broadly excellent performers with, at the time of writing, all three Nolan Group companies (that’s Nolan, X-Lite and Grex) in our top 10 safest brands list. Nolan polycarbonate helmets have all, so far, always scored 4/5 in the SHARP test – including 5 polycarbonate system helmets. 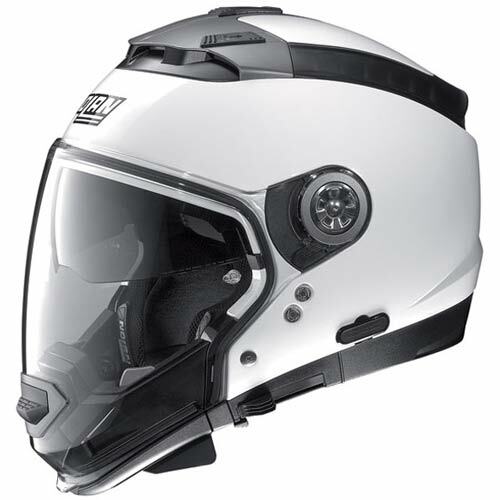 They also have a 100% record of their system helmet chin guards staying locked and closed under testing impacts, and although the N44 is somewhat different to the other helmets that have been tested, it’s encouraging to see that the locking mechanism on its removable chin guard is all metal too. 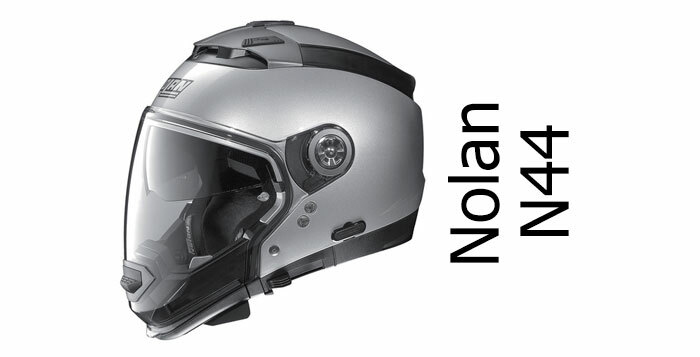 So overall, while it’s impossible to be certain, everything seems to point towards the Nolan N44 as offering a decent amount of accident protection – especially with the chin guard in place. Aside from the obvious way the helmet will protect in an accident, we’d also say both the massive area of peripheral vision given by the huge visor and the drop down sun visor will both contribute to safety by helping avoid accidents. Helmet noise is always a tricky one to assess because it’s so objective. In the case of the N44, as usual there’s lots of differing views, usually depending on previous helmets people have owned and the type of bike people ride. Overall though, the N44 seems to be about average. A couple of people say it’s incredibly loud but most feel that – especially with helmet in full face mode with vents closed, it’s reasonably quiet – though open the vents and that seems to create quite a bit of noise. 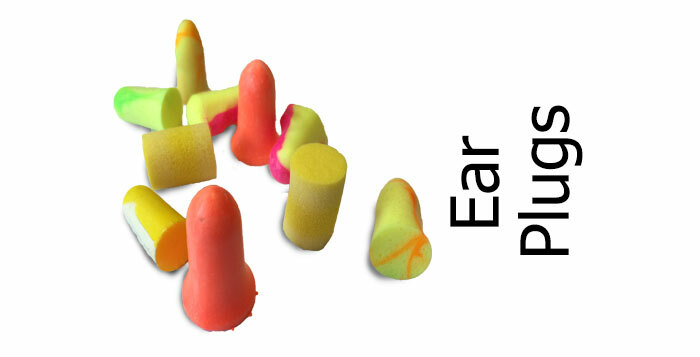 In addition to this, several people who use bluetooth communicators commented that the N44 was particularly good and quiet, especially when making phone calls. The Nolan N44 is available in a wide range of sizes XXS – XXXL. 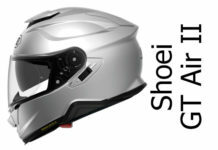 However, it’s only made in two helmet shell sizes with one covering sizes XXS to L and the other XL-XXXL. If you’re an XXS it might mean that the helmet looks very big on you, especially if you have a small body too. Read more on why just two shell sizes might make a difference here. As for getting the right size when you buy, apparently the N44’s sizes are about bang on – so check out our helmet fitting guide to measure your head correctly and once you’ve done that, the right size Nolan should fit you a treat. Ventilation on the N44 is good. There’s a vent in the large visor (weird!) and the top vents and exhaust are all contained in a single panel that covers the top of the head (what Nolan call Airbooster). The air’s pulled into the top vent which effectively scoops air into the helmet and cools the head. There’s three reasonably-easy-to-use sliders up there too allowing you to close off the vents. A few people have commented that the vent that sits within the visor isn’t massively effective and it seems many people just remove the chin guard entirely when things get too stifling – one owner said when it gets really sunny the large visor acts a bit like a greenhouse and removing the chin guard is the best way to cool things down! Quite a few owners also commented that the first notch on opening the visor is just enough to help circulate lots of air when it gets hot (or foggy). But overall the vents are good for most circumstances. The massive visor is the reason most people bought (and like) the N44. It really is huge and goes all the way down covering most of the chin guard and offers a huge field of view with many owners saying it’s like riding in an open face helmet, even with the chin guard in place and the visor down! The visor is Pinlock ready but doesn’t come with a Pinlock in the box. It is however treated with an anti-fog coating and is also UV400, meaning it should screen out all the harmful UVA and UVB rays. It’s also quick-release – just open the visor, slide up the tab to the front of the pivot and the visor pops out. Also in the box is a sun-peak. It’s similar to the peaks you’ll find on adventure helmets and can be very useful for giving some shade when the visor’s removed. It’s easy to fit too; remove the main clear visor and it snaps into place using the same fitting, then just press onto the visor pivot at each side and move the slider up to secure. The N44 also has an integral drop-down sun visor, lowered by pressing the slider on the bottom left of the helmet forwards. This one is spring loaded too, meaning to retract the sun visor, you push a button underneath the slider and it quickly retracts back into the helmet. Nice. One thing worth noting – and it’s not unique to the N44 – is that some owners reckon the sun visor is a bit too light and doesn’t drop down far enough. That’s a complaint that’s levelled at quite a few sun visors and is probably to do with some territories limiting how dark a sun visor can be – also to do with how much space is available in the helmet itself to produce a deeper sun visor. However, many owners do love it and say it makes all the difference when riding in sun. N44 Evo silver with chin guard removed. Aside from the huge visor, the way the chin guard works and the different helmet configurations available with the N44 is a massive selling point for this helmet. The chin guard can be removed by pressing down on the two metal tabs on the top of the guard which releases the catch that holds the chin guard in place – and the chin guard can be pulled forwards and removed. Note, the helmet comes with a couple of blanks that can be used to fill the holes left by the chin guard. 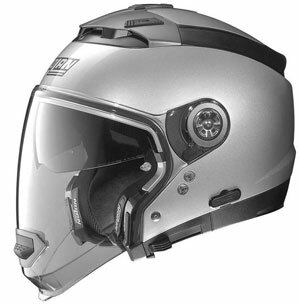 The N44 can then be used in jet mode – visor down but with plenty of air getting into the helmet and is perfect for urban riding. Of course, the visor can be removed and replaced with a peak turning it into an adventure helmet – with or without chin guard – complete with space to use goggles if required. The peak can’t be fitted with the main clear visor in place though. All this means that if you opt for an N44, you’re getting an incredibly flexible helmet that you can configure depending on how your mood takes you. In practice, most riders seem to use just a couple of the configurations, but it’s always nice to know you’ve got the flexibility there should you need it. One thing worth being aware of though is that several owners said that it’s a really tight fit to get the helmet on with the chin guard in place. Several say they always first remove the chin guard, then put the helmet on, then put the chin guard on – and vice versa to take it off. It’s not the most arduous process once you get the hang of it but it does take a little more time than most modular helmets. 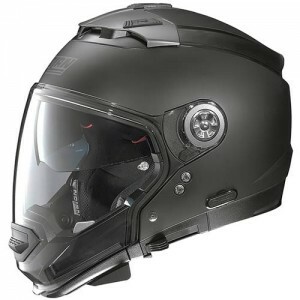 A couple of users have mentioned that the sides of the helmet can press in a little – mainly because, unusually, the comfort liner goes over the speaker pockets. Other than that, the Nolan N44 has a fully removable lining using what Nolan call their Clima-comfort fabric which owners overwhelmingly say makes for a comfortable helmet – as long as you get the fitting right in the first place. There might also be a slight issue with the chin strap. It features a micrometric 2 fastener – which are quick and easy to use – but a small number of owners said the strap itself is a bit uncomfortable, pulling into the throat above the adam’s apple a bit too tightly. Having a strap that’s tight and pulls the helmet tight onto the head is obviously a good thing in many ways – it’s estimated around 5% of motorcycle fatalities may be caused by the helmet coming off the head. However if you have a particularly large adam’s apple, it’s worth being aware of. One owner did comment that they fitted a microfleece cover to the chin strap which stopped it being uncomfortable for good. At the time of writing, Nolan offer the N44 in three different designs – the usual solid plain colours along with the Como N-Com and the Italy N-Com designs. As usual you can see examples of all these around the review although to see the latest colour schemes and designs available, it might be worth clicking the links through to our recommended retailers to see which are available to you now. Best place to buy an Nolan crash helmet? 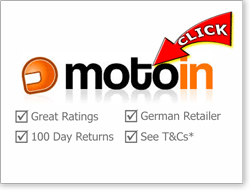 Motoin (Germany) get great feedback (4.9 and 4.5 out of 5 on Idealo and eTrustedshops at the time of writing) though note, there's a delivery charge to ship outside of Germany, so factor that in (see here for details). Or you can jump through to the Nolan helmets pages at Amazon UK if you prefer to buy from there - but make sure you only buy from the most reputable sellers. Please click any picture below to visit their Nolan helmets pages. And if you buy from any, we get a small sum from the sale at no extra cost to you - a massive THANKS! (it's how we finance the site). Click here for more info on our recommended retailers. Click above to drop onto their Nolan helmets pages or *quick view retailer T&Cs here. Here’s a couple of videos if you want to get a more in-depth feel for the N44. First off from MotoLegends and below that, Nolan’s official release vid (skip to 50s to get past all the intro fluff on Nolan’s video!). 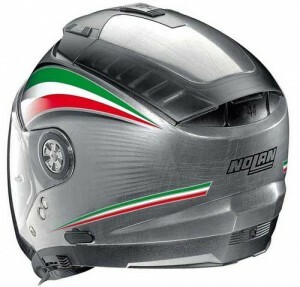 The Nolan N44 also comes with a wind/noise deflector in the box that fits to the bottom of the helmet in full face mode. It has a microlock 2 lock on the strap – that’s the latest version of the microlocking mechanism and works well (though see our warning in the comfort section above). For a modular helmet, the N44 is about average weight. The medium size helmet (using the shell size that covers from XXS to L) weighs in about 1.55Kg which is lighter than the average modular helmet. Build quality of the N44 is broadly rated as very good with only one or two very small niggles being reported – and a couple of owners say it works very well with glasses, although you’ll probably have to remove the chin guard to get the helmet on in the first place (see chin guard section above). Finally, the N44 is designed to work with the Nolan N-Com bluetooth kits. A few owners did say that they managed to fit their non-ncom communicators without a problem though – specifically a Cardo Scala Rider G9 and other kits that can be stuck onto the helmet – commenting that the speaker cutouts were fine and that there’s decent internal routing for cables. There aren’t many helmets around that are direct competitors to the N44 but if you’re also considering a more traditional flip-up helmet, you might want to check out the Nolan N104 – that’s a 4 star SHARP rated flip-up helmet that’s well rated and costs about the same as the N44. There’s also the well rated 5 star Caberg Duke that’s pretty light and comes with a Pinlock anti-fog out of the box. 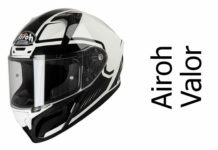 Finally, there’s the AGV Compact that’s SHARP 4 star rated and a great all rounder. 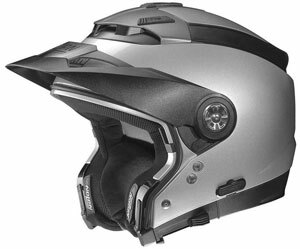 Here you'll find all our Nolan crash helmet reviews and previews including full face, flip-up and open face helmets. The Nolan N44 is an incredibly flexible crash helmet capable of being all things to pretty well all but the most focused riders. Full-face, jet, open face or adventure helmet, it can do them all reasonably well and if you're after one helmet to take on multiple roles, the N44 might be the helmet for you. SHARP 5 star sportsbike helmet on a budget anyone?